The Leftist version of Israeli society has been effectively ended with the re-election of Benjamin Netanyahu to a fifth term. Benjamin Netanyahu has been declared the winner of an unprecedented fifth term as Israel’s Prime Minister refusing to be beaten by the combined political force of three former I.D.F army chiefs, pending bribery and fraud allegations hanging over him, and the combined forces of a hostile broadcasted, printed, and digital news media which spent the later part of the past three years hounding and tarnishing Netanyahu day and night; have all failed to end his political career. Netanyahu, a seasoned conservative politician, and a brilliant political tactician, proved once again his ability lead and overturn what seemed to be a foregone conclusion that he would be ousted. 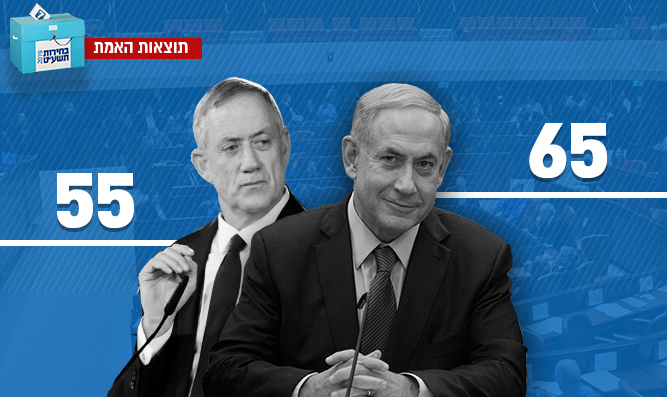 Throughout the night, initial exit polls had shown that the Likud Party led by Netanyahu had lost to the Blue and White Party led by Benny Gantz. Updated results accounting for the final hours of voting showed the Likud leading 35 to 34. The actual number of Knesset mandates will likely change once all votes are tallied and the votes of parties that did not cross the threshold are redistributed. Irrespective of the tight race between the two major parties, the right-wing bloc has won a clear and undisputed majority in the 120-seat Knesset being swept back into power and forming Israel’s new government in the coming days and weeks. Benjamin Netanyahu’s path to becoming once again Israel’s Prime Minister will withstand any last minute surprises as the tallying of votes is completed. A surprising casualty of the election results were two of the more popular and outspoken right-wing politicians, Education Minister Naftali Bennett and Justice Minister Ayelet Shaked, the joint heads of the New Right Party, who appear to have lost their bid to be in the 21st Knesset. At a gathering of his supporters in Bnei Brak, Bennett said he believed that once the soldiers' votes were counted, the party would have enough support to enter the Knesset. On the opposing side of the political map, a result of this election is that the Israeli public has chosen to end the historical role and political significance of the Israeli political lef, For many of Israel’s voting public, “peace has become a dirty word”. The Likud led platform of Jewish solidarity and support of modern Jewish nationalism based on Israel as the national homeland of the Jewish people coupled with unprecedented economic prosperity, has convinced the Israeli public that the Left’s vision of peace, liberal social values, and socialist economic policies belong to the past and have been deemed either as unrealistic at best, or a denial of reality at worst. The never ending conflict with the Palestinian Arabs, based on the “land for peace” model is no longer a viable political process due to the unwillingness of the Palestinian Arab leadership to accept Israel’s existence and the continuing terror raising its ugly head all too frequently. “The Peace Process”, once the dividing line between left and right in Israeli politics has ceased to be an issue. As the realization that a solution with the Palestinian Arabs is unattainable in the near future, so too have the fortunes of left-wing parties leading to their apparent electoral demise. The Leftist version of Israeli society has been effectively ended with the re-election of Benjamin Netanyahu to a fifth term. An astute observation of the Israeli election results can also have wider implications for the American elections in 2020 and the re-election prospects of President Trump. The results of last nights election show that the Likud’s political strength actually rose despite widely publicized media bias espousing politicized accusations and alleged transgressions. Both President Trump and Prime Minister Netanyahu share a loyal base, which feels cheated, deprived, ignored, swindled and oppressed. As a result, both political leaders have in the past and can in the future give so many disenfranchised voters hope and that their struggles are important and can no longer be ignored. The writer, a 25-year veteran of the I.D.F., served as a field mental health officer. Prior to retiring in 2005, served as the Commander of the Central Psychiatric Military Clinic for Reserve Soldiers at Tel-Hashomer. Since retiring from active duty, he provides consultancy services to NGO’s implementing Psycho trauma and Psycho education programs to communities in the North and South of Israel. 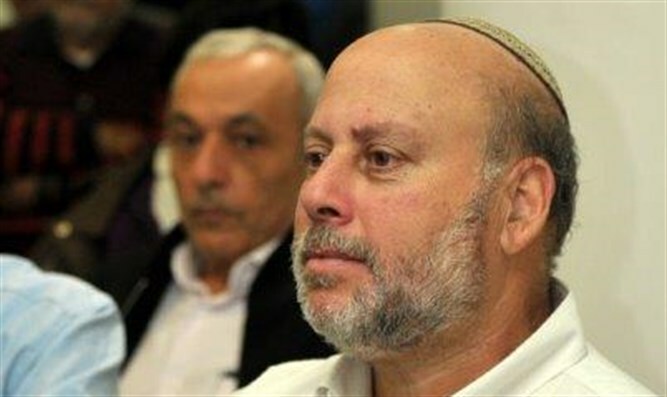 He was former strategic advisor at the Office of the Chief Foreign Envoy of Judea and Samaria.